This marks the 16th top-5 finish for Gipson and Noe, moving them to #2 on the all-time list. The team struggled early, missing multiple fish on topwater lures. The team finally started connecting around 11:00 am and put 4 fish in the box by 1:00 pm. 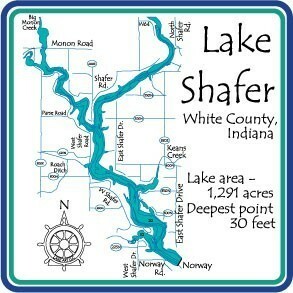 The R&B South tournament made the 4th stop at historic Lake Shafer in Monticello, Indiana. 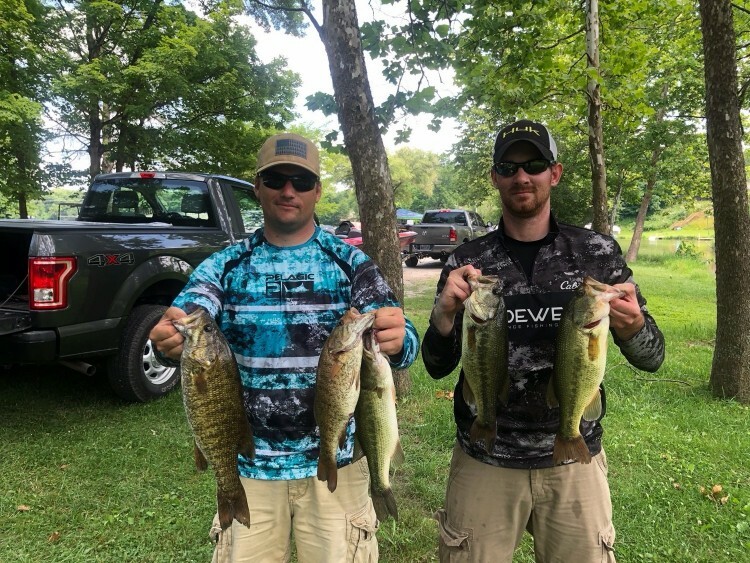 The bite was tough, but the winners managed to bring a limit to the scales. Season ​​​​point standings can be found here. ​How it Happened: Coffing and McCauley secured their first win on the R&B Circuit and second money finish of the season. The two started on the main lake and fished one backwater area throughout the event. They battled waves and wake for most of the day to land more than 10 keepers and bring the only limit to the scales. The victory also moves the team into second place in the points standings with only two events to go.